Forget bland, cubed home fries from the freezer section of the grocery store! 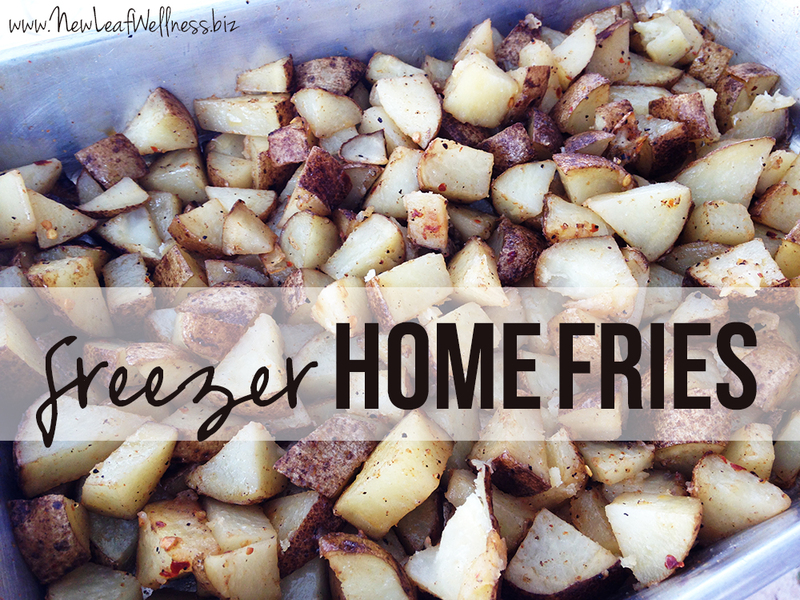 These freezer home fries are delicious, cheap, and oh-so-easy to make. 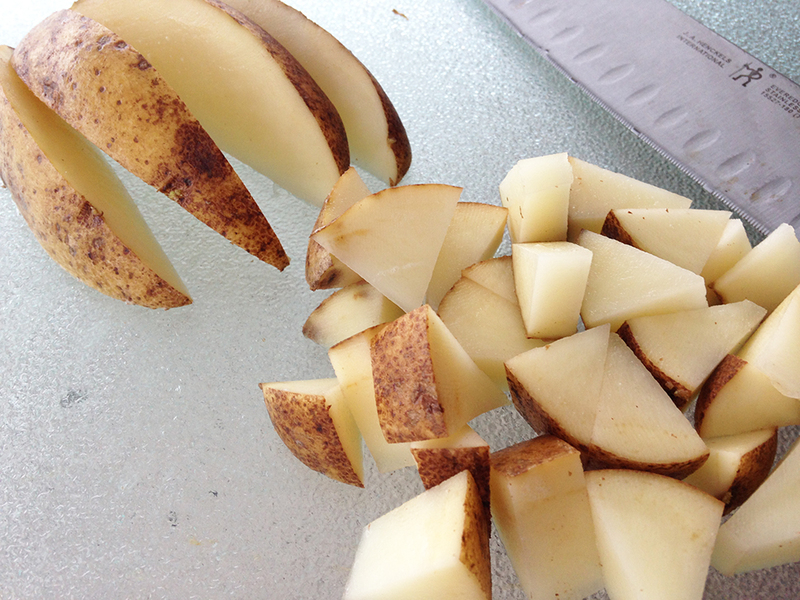 You are going to love this incredibly easy recipe for frozen home fries. Simply dice and season your potatoes, bake them, and then package them for your freezer. Voila! Breakfast is waiting. My husband used to eat freezer-to-microwave burritos for breakfast every morning, but now that he works closer to home he’s into freshly made breakfast scrambles. Add some freezer home fries, pre-cooked sausage, and eggs to a pan and he’s ready to face the day. For a while I was buying frozen home fries at the grocery store every week, but when I tried to come up with a way to finish a 10-pound bag of potatoes, inspiration struck. The entire bag only cost $3.99 and I used half of it to make the best frozen home fries we’ve ever eaten. 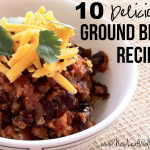 Easy to make, seasoned to perfection, and the perfect balance of soft and crunch. Yum, yum, YUM. 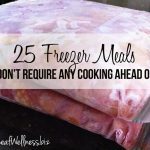 While we love eating these freezer home fries for breakfast, they’d also make the perfect quick side dish for a crockpot dinner roast. Add potatoes to two 9×13″ casserole dishes (I like to use aluminum) and cover with oil and seasonings. Stir to combine. Bake 45 minutes or until potatoes are cooked through, stirring and swapping oven racks every 15 minutes to make sure potatoes are cooked evenly. 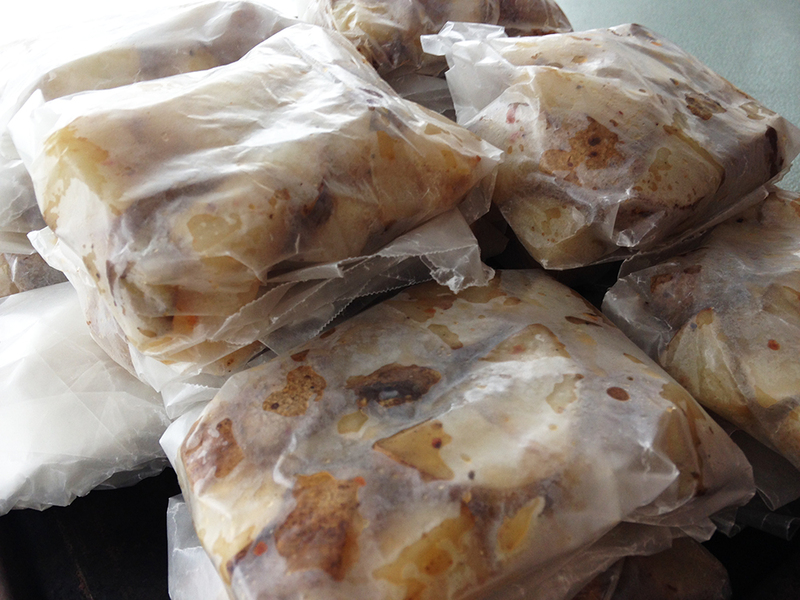 Package for freezer by wrapping individual servings in wax paper and then storing the wax paper packages in gallon-sized plastic freezer bags. 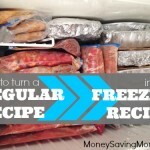 Thaw in a skillet over low heat or by placing in your refrigerator overnight. 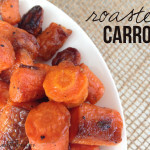 Heat in a pan on stovetop or in oven.